In two hours I found about 30 brown, 30 green, 15 white, 8 aqua, 1cobalt, 1 tile, about one inch average size (see photo above). I was visiting my son in California and we went sea glass hunting several days. We found quite a bit, but not large, combing the beaches at Aliso Beach and Laguna Beach South. 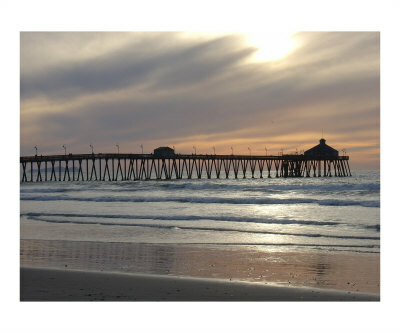 Newport Beach became very popular for beachgoers from nearby Los Angeles as far back as 1905, when a railroad connection opened and easy way for beachlovers to get there. There are actually several beaches between Newport Beach and Laguna Beach, including Crystal Cove State Park, where a combination of tide pools and sandy beaches can provide a good sea glass or beach glass environment. of the famous spots in Newport Beach is "The Wedge," a well-known body surfing spot that gets pretty crunchy, as David at Odyssey knows well from personal experience! Since the Newport Beach - Aliso - Laguna Beach, Calfornia areas have been frequented by visitors and inhabited for over 100 years, it is logical that a lot of glass has found its way to the beaches. However, many of the beaches are sandy and some have been filled in, both of which conditions hide much of the sea glass that might have been "sown" there in the past. 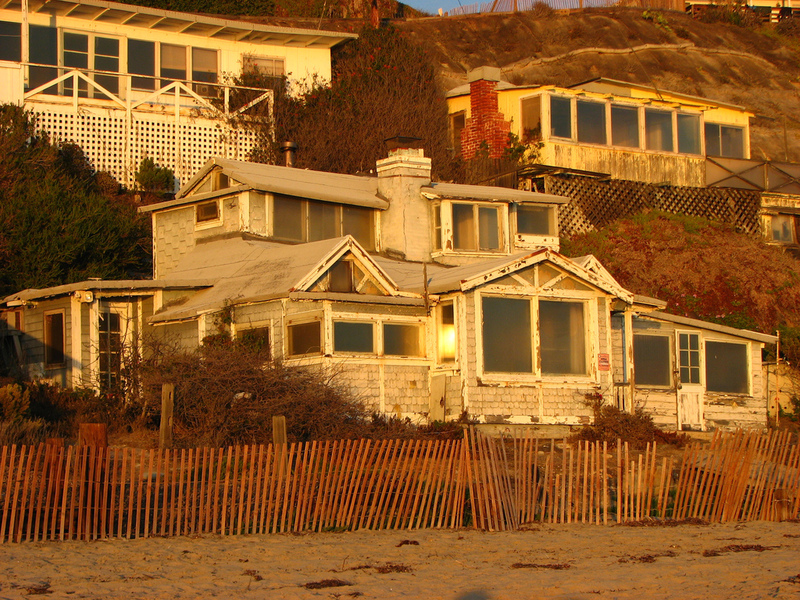 On the beaches of Crystal Cove, Aliso Beach, Newport Beach, and Laguna Beach, look for the areas where headlands come close to the shoreline; where pebbles are mixed in with sand and/or reef. About 10 miles south of Newport Beach, the coast of Laguna Beach, California is also popular with beach goers and surfers. These beaches have spawned various TV shows and are already familiar to millions of people today. Restaurants such as Las Brisas, Laguna Beach, are great places to dine while watching beautiful sunsets with your favorite person(s). If you haven't been to Southern California yet, this stretch of many beaches between Newport and Laguna Beach s a good place to find out what the California beach hype is all about! The best time to go? I would recommend late summer/early fall - but that's just based on personal visits. ~ added by David from Odyssey "See Glass"
It was my 1st time sea glass hunting and I was very encouraged at all the pieces I found. 1st mistake I made was going while it was still high tide,but had I gone at the right time I would have done much better. We found a small Mason jar full of green, white, brown, 1 blue and 2 large pieces of of sea green about 6 inches. Will be returning during low tide to see what glass I can comb up. Was disapointed. But, didn't go at low tide, either. My daughter and I found very few pieces close to Crystal Cove, as we moved north we found more. North next to the rocks we started finding more pieces most of them small. Mostly green and brown, several white, 3 pieces of blue and one red with white swirls, way cool. All very worn. I did leave a larger piece of an old Coke bottle out there, it was also very worn. I had a similar experience about two years ago. imperial beach pier San Diego CA Buy From Art.com Imperial Beach Ca Sea Glass Found around 10 pieces of green in a 30 min walk!!! We didn't find anything... we asked about the crystals and they told me that they didn't know what I was talking about. It was sad, but we had fun in the beach and with the seaweed. Thanks for the update. Like many beaches, it changes from one day to the next. Even at the famous Seaham in England there are days when no sea glass is found. 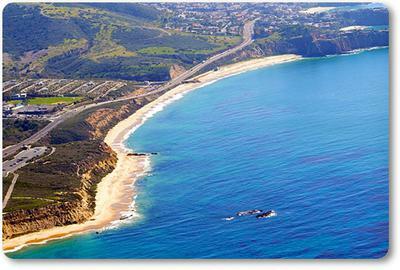 But this report will be helpful for others thinking about visiting beautiful Crystal Cove. There is a $10-15 parking fee. The best time to find the sea glass is during low tide at either 6am or 6pm. Also there seems to only be glass in the winter time, very few in the summer. If you are fortunate enough to live near or vacationed at southern California's beaches, you know that even with chilly water, the beautiful shores and interesting ambiance as well as good waves make the beaches provide loads of enjoyment for the whole family. 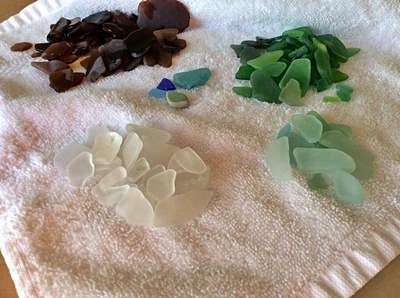 For sea glass, though, the predominance of sand makes it hard to find sea glass in many areas. What you will find though, is that if you go at very low tide, reefs are exposed; and along the line of sand meeting reef rocks, you may find some great treasures. After a storm may be the best time, as more gravel is exposed. This is true of the Crystal Cove State Park, located near the city of Laguna Beach, California. The State Park's shoreline has been designated as an underwater park, with tide pools to explore. At Crystal Cove State Park beaches, as this report shows, you will have a great time looking for sea glass as well as being able to enjoy the 2,400 acres of undeveloped woodland behind the beaches.